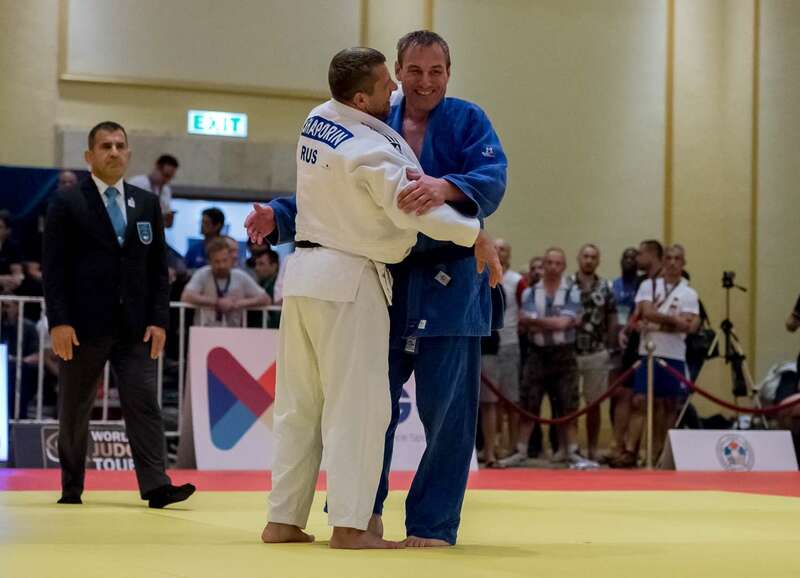 The 10th IJF Veteran World Championships featured the M4 (age 45 - 49) & M5 (age 50 – 54) on day three. 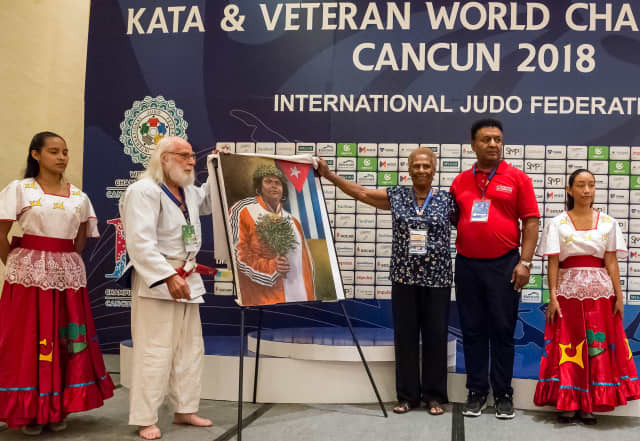 An enthusiastic audience in Cancun were treated to high-quality judo and some special moments as the immense level of respect between the competitors was appreciated by all members of the judo family. 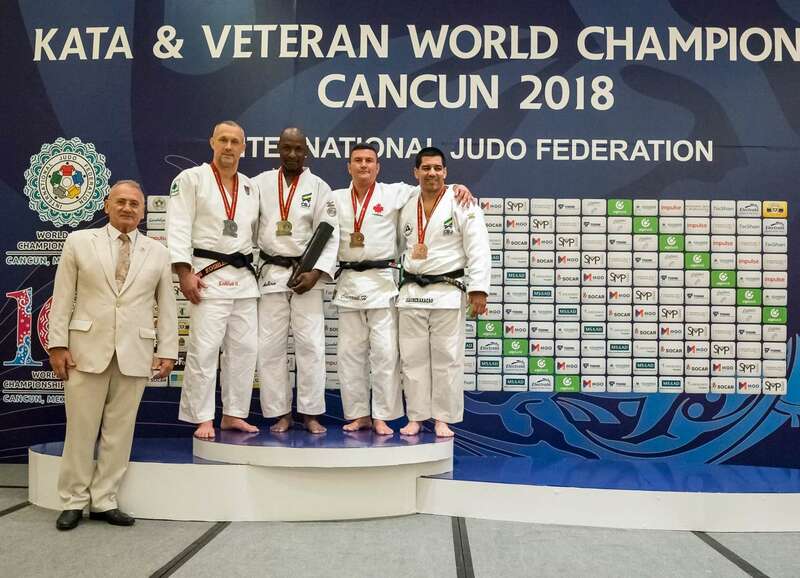 The competitive spirit is clearly still coursing through the veins of the veteran judoka as they showed their passion, ability, experience and their love for the sport. 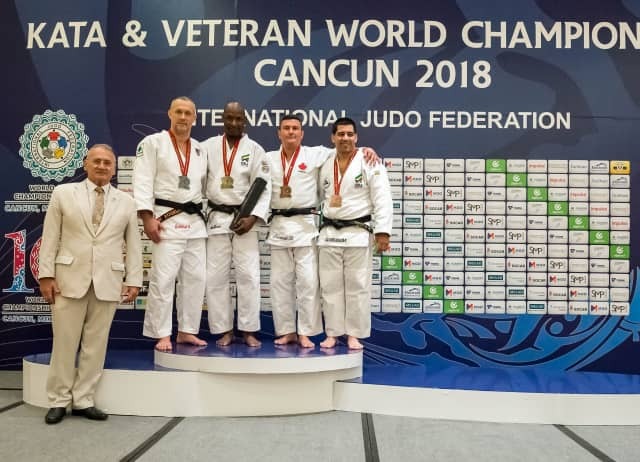 The action on the tatami was lapped up by the friends, family and teammates who made the trip for the 10th edition of the IJF Veteran World Championships. 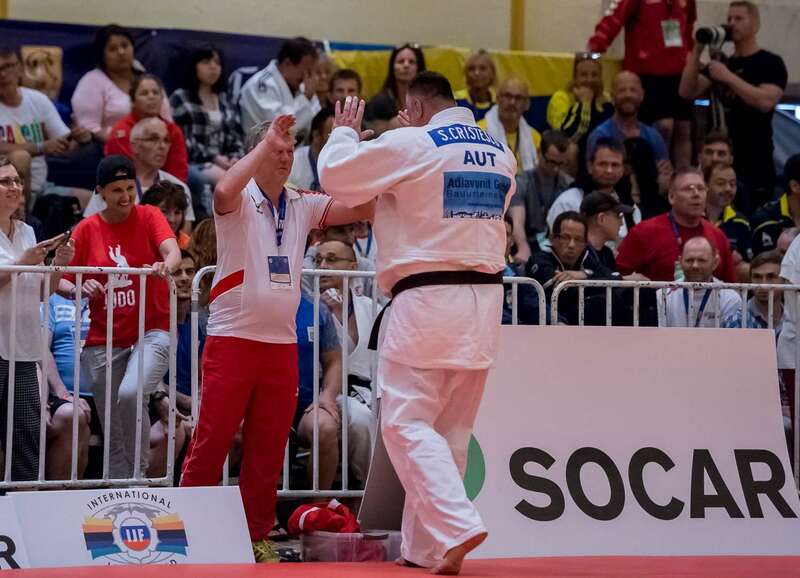 All winners recieved an exclusive black belt marking the 10th instalment of the highly-popular event for judoka aged 30 and over. Mr. Jobb Andor, who was recognised for his services to judo on Wednesday, presented a painting, presented a painting of Cuba's double Olympic silver medallist Daima BELTRAN who now coaches for the Mexican national team. The four-day competition comes to a close on Saturday with the M2 and F1 through to F10 age groups. 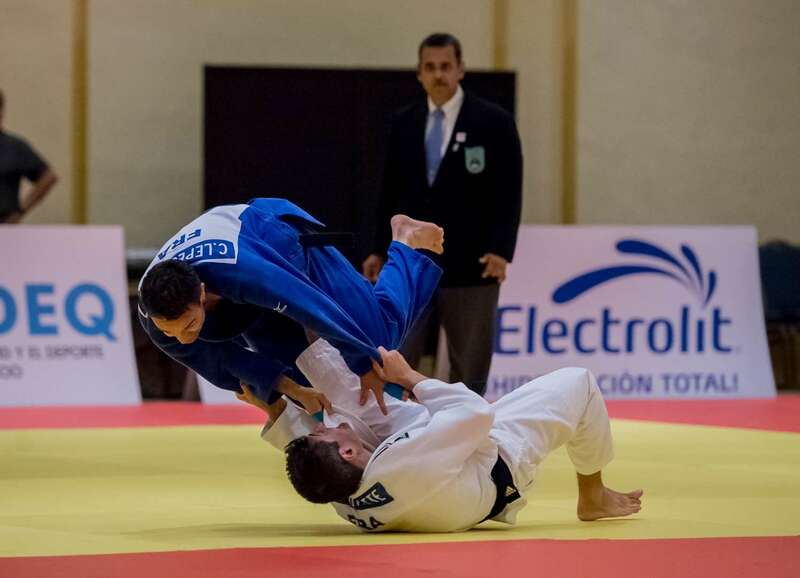 Watch day four live on the IJF YouTube channel. Click here for the streaming links to all four mats.